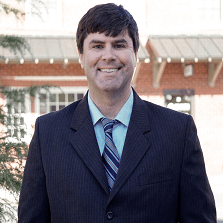 A graduate of the University of Georgia’s Terry College of Business, John obtained his B.B.A in Risk Management & Insurance and then joined Strawn & Co., Insurance in 2003. John specializes in the placement of commercial insurance risks including property, liability, workers compensation, business automobile and surety. John holds two professional designations becoming a Certified Insurance Counselor (CIC) in 2008 and a Certified School Risk Manager (CSRM) in 2015. John works with clients to identify gaps in existing coverage as well as helping to implement loss control practices. These services allow clients to minimize premiums as well as expenses incurred at the time of loss. In 2016, John was named President and COO of Strawn & Co., Insurance assuming leadership of the day to day operations of the agency. Away from the office, John is very active in the community having served on the Board of Directors for the McDonough Lions Club; Board of Directors – Haven House (The Flint Circuit Council on Family Violence). John is also a Past-President of the South Metro Bulldog Club. He currently resides in McDonough with his wife Melissa and their daughter Piper. They are members of McDonough Presbyterian Church where John serves as an elder on the session. 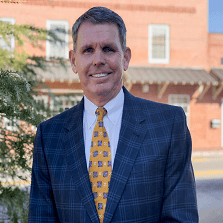 Rusty joined his father at Strawn & Co., Insurance in 1985 after graduating from Georgia Southern University. His primary focus is business insurance specializing in property, liability, worker’s compensation, business interruption and bonds. Rusty’s ability to work with his clients in placing various coverages has proven to be very helpful to his clients. In 1999, Rusty was named President & of Strawn & Co., Insurance, not only continuing to work with his new and existing customers, but also, overseeing the day to day operations for the agency. In 2016, Rusty turned over the day to day operations to put more focus on his clients while maintaining the role of CEO. 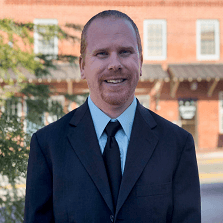 Rusty continues to be very involved in his community – serving on the Executive Board for the Flint River Council (Boy Scouts of America); Chairman of the Board – United Community Bank-Henry County; Board Member – Georgia Southern Athletic Foundation; and Deacon – First Baptist Church in McDonough. Rusty is married to the former Jennifer McKenzie of Rutledge, Georgia. They have three daughters; McKenzie, Taylor and Anna. Jay began working at Strawn & Co., Insurance in 1993 after graduating from the University of Georgia. Jay cultivates relationships with clients to fully understand their needs and designs a custom insurance package specific to them. His years of knowledge and experience in the insurance marketplace enable him to provide competitive prices from the finest companies. In 2008, Jay completed his Accredited Advisor in Insurance designation which provides specialized training for understanding the technical components to insurance policies and how they can better serve the customer. Outside the office, Jay has been recognized for his involvement within the community and his children’s activities. He is past president of the Henry Co. Kiwanis Club and director of the Henry Co Fair. Jay lives in McDonough with his two daughters, Ellie and Jamie Ann. Jessica Dix joined Strawn & Co. Insurance in 2012 as a Personal Lines Office Manager and Agent. She leads our team with a strong work ethic and immense industry knowledge. 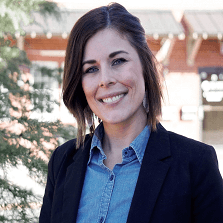 Jessica has served in the insurance industry for eleven years allowing her to be proficient in market practices, policy standards, risk management profiles, and client expectations. She began her insurance career at State Farm Insurance where she gained a broad professional understanding of the industry and a highly sought after reputation. At Strawn & Co. her primary focus is on personal insurance specializing in home, auto, recreational vehicles, boats, and umbrella policies. She manages existing Strawn & Co. clients by reviewing renewals and identifying options to expand savings and lower potential risks. Her strength is in identify her clients’ needs and maximizing their savings. Jessica grew up in Henry County and married her high school sweetheart, Robert Dix, in 2007. She and her husband currently reside in Lamar County with their two sons, Kale and Lucas. They attend Rock Springs Church in Milner, Georgia where they enjoy developing lasting friendships and impacting lives. Pam Miller joined Strawn & Co., Insurance in 2014 as a Commercial Account Executive and was promoted to Commercial Insurance Sales in 2017. Although she has only been with our company three years, the depth of knowledge and experience that she brought with her makes her a seasoned professional. 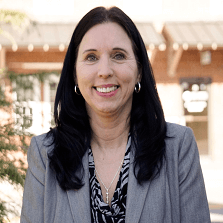 She began her professional career in 1989 in the personal lines department at Acceptance Insurance where she worked her way up through the ranks over her 20 years with the company. She moved from Customer Service, to Agent, to Manager, then to District Manager of over 15 offices. Her stellar performance and extensive experience gained her the recognition of overseeing the top performing offices for more than 15 consecutive years. At Strawn & Co., Pam’s dedication to her customers and community has allowed her extraordinary success. She is currently working to obtain her Certified Insurance Counselor (CIC) designation. Pam grew up in East Point, Georgia, moved to Clayton County with her family in 1980 and graduated from North Clayton Senior High in 1984. Pam, along with her husband, Darren and their daughter, Jordan, now call Henry County their home. She enjoys working with local charitable organizations and she and Darren are passionate about supporting causes that support our Veterans. She is a member of the Henry County Rotary Club and is an active member of McDonough Christian Church. 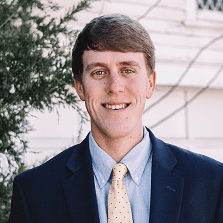 After beginning his career with Strawn & Co., Insurance in our business development department in August of 2016, Bo Echols was promoted to the role of producer & agent in December of 2018. Bo is the nephew of CEO Rusty Strawn and is now a part of the third generation of the Strawn family to serve in the business. Born and raised in McDonough, Bo graduated from Woodward Academy and holds a B.B.A. in Marketing from Georgia Southern University. He currently lives here in McDonough with his wife, Caroline, and looks forward to becoming more involved in the Henry County Kiwanis Club and Glen Haven Baptist Church. In his free time, he enjoys spending time outdoors and golfing. 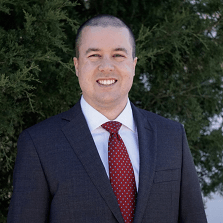 Bo's focus is both personal and commercial insurance, and he strives to make the insurance process as effortless and straight-forward as possible while developing relationships with each and every one of his clients. Chris Ragan is a licensed agent and joined Strawn & Co., Insurance in 2009. His primary focus is guiding our customers through the process of securing their personal insurance needs to include homeowners, automobile and life insurance. 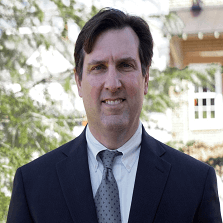 Chris began his professional career in 2001 in residential real estate sales. He enjoyed great success, selling over 100 homes in the south Atlanta area. His extensive real estate knowledge is a valuable asset in his position today as he assists clients with their homeowners insurance needs. He is one of Dave Ramsey’s Endorsed Local Providers for the South Atlanta area. Henry County has been home to Chris and his family since 1984. He is a graduate of Henry County High School and holds a B.B.A. in Marketing from the University of West Georgia. Following graduation, Chris returned to Henry County in 2001 where he lives with his wife, Anne. He is active in the community and evolved with Upwards Basketball, The Henry County Fuller Center for Housing, The McDonough Garden Club and Eagles Landing First Baptist Church. Steve Meyer started as a producer with Strawn & Co., Insurance in 1999 after several years in the client service industry. Steve, a long time resident of Henry County, graduated from Stockbridge High School in 1992. He then obtained his Bachelor of Arts in Political Science at Georgia State University in 1997. Steve’s primary focus is personal insurance: Auto, Home, Health and Life insurance. He consistently advises his clients to common sense solutions. He is currently working towards his Certified Insurance Counselor (CIC) designation. Steve, his wife Christy and son Aidan are residents of Henry County.